Latvia is a country of over two million inhabitants situated on the Baltic coast of Europe. The official language of Latvia is the Latvian language. The ancestors of the Latvian people have been residing in Latvia for as long as history can record. The area was early famous as a source of amber, a precious natural substance that was traded along trade routes as far as Africa. At some point, the initial Balts in today's Latvia divided into a number of tribes, some fishing and trading, like the Livonians, others farming, like the Semgallians and Semonians, and others pillaging and looting, like the Couronians. Latvia is a small country in the Baltic region of Northern Europe. It is a member-state of the European Union, entitling EU citizens to travel freely and work in the country. Latvia is also a member of the Council of Europe and is a part of the Schengen area. It has established diplomatic relations with 158 countries and maintains 34 embassies and nine permanent representations worldwide. Foreign embassies and international organisations hold offices in the capital city of Riga. The Latvian government is a parliamentary republic that is currently headed by President Andris Bērziņš and Prime Minister Laimdota Straujuma. The 100-seat Saeima parliament, which is presently presided by Speaker Solvita Āboltiņa, is elected through a national election every four years. The EU state ranked 8th among 21 top emerging markets in a Bloomberg survey. Between 2014 and 2015, Latvia’s projected average gross domestic product (GDP) growth is 4.13%, after Panama’s 6.70% and Peru’s 5.53%. Latvia posted the highest change in government debt as a percentage of GDP at -10.40%. It also topped the list of emerging economies with the highest average total investment as a percentage of GDP at 26.48%, followed by Poland (20.77%) and the Philippines (19.17%). In 2011, the nation of 2.2 million people was composed of Latvians (62%), Russians (27%), Belarusians (3.3%), Ukrainians (2.2%), Poles (2.2%), Lithuanians (1.2%) and other nationalities (2.1%). Ethnic Latvians constitute a minority of the population in some cities. Latvian is the official language though English is widely accepted in business and tourism. 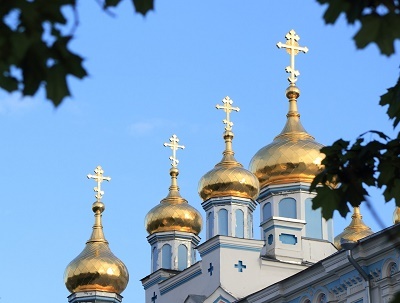 Russian is used by 34% of the population, including those who are not of Russian descent. Latvia has a relatively low cost of living compared to more developed countries in the region. It is a preferred destination for foreign students on a budget. The minimum cost of living of an individual is €329.88 per month, excluding income tax and social insurance contributions. The minimum wage stands at €320 per month or €1.933 per hour. Teenagers and adult workers in dangerous conditions are compensated for an hourly rate of €2.209. All workers, locals and expats, are taxed a flat rate of 24%. 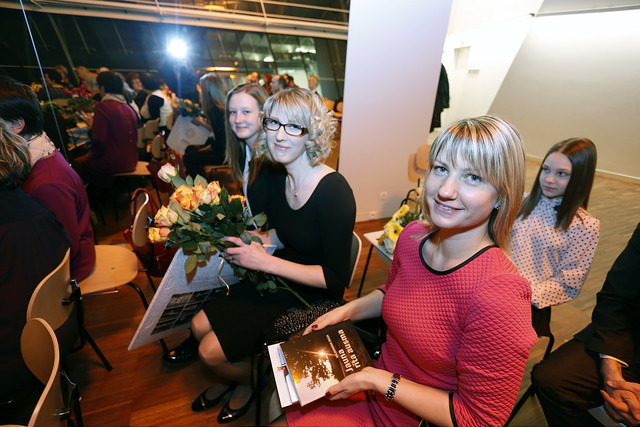 Latvia provides expats almost all rights afforded to citizens. Expats holding permanent residency status are free to move to another country while retaining all rights and privileges granted in Latvia and are extended the same social guarantees as Latvian citizens. The only rights limited to citizens are the right to vote and to hold a civil service position linked to national security. On the Baltic Sea, situated between Estonia and Lithuania is the small nation of Latvia. It is one of those few European countries that stood firm and preserved its original beauty despite the race towards modernization. Aside from its capital Riga which is the only fast-paced city in the country, you will mostly find yourself surrounded by nature where everything is so simple and calm. Though small in geographical size, you will be surprised to know that a huge portion of its population is made up of expats. Many opportunities are waiting for you in Latvia. So if you’re already decided to find out what makes this humble nation a magnet for foreign nationals from different parts of the globe, here are some points that will help you start. The first and most important thing for you to do when moving abroad is to find a place and city to live in. You can start your search even before you relocate by browsing through online portals for real estate properties in Latvia. Once you arrive in the country, the easiest and most convenient way for you is to contact local realtors. They are more familiar with the neighbourhoods and can provide you with a wider range of housing options. In most rentals abroad, you need to shoulder the payment for your utilities like electricity, water, and gas and garbage collection. In Latvia’s central cities, the average monthly rate for your essential services is €200. Your internet connection with a speed of 10mbps is roughly €2 a month, and local mobile prepaid calls are charged €0.10 per minute. Expats are allowed to purchase properties in Latvia. But due to the long process, it takes to acquire one, it will be more reasonable and cheaper for you to rent. Most apartments are furnished and ready for occupancy, but this is also a factor for higher monthly salary. Based on your planned length of stay, you have the flexibility to choose between a short-term rental ( 0-6 months) or long-term rental agreements. 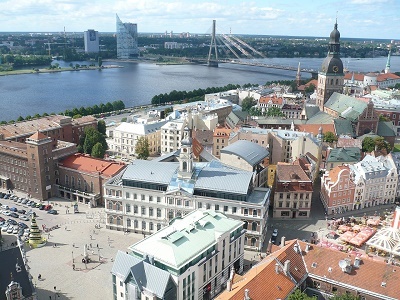 Riga is the centre of Latvia’s economy, commercial market and the majority of corporate offices. It is also where you will find most expats because of the malls, restaurants and supermarkets that meet their everyday needs. You can find a one bedroom apartment in Riga for €350 per month and a three bedroom unit for €600. 25 kilometres west of Riga is the district of Jurmala, which is a good choice for you if you are relocating with your family. It is known for having large outdoor spaces and the home of the famous Jurmala Beach. There are also several educational institutions in the neighbourhood where your children can go. A one bedroom apartment in Jurmala typically costs €400 while a three bedroom unit is €1200. Latvian schools are implementing the grades 1-12 school programme where education is compulsory for nine years in primary level and three years at secondary level. Most expats in the country choose to enrol their children in international schools like the International School of Latvia which follows the IBP (International Baccalaureate Program). There are also many local schools across the coutry like the Daugavpils University which has been providing high-quality education since 1921. Either you are a first-time expat or an experienced one, the best way to bring your belongings is to seek shipping and removal services to help ensure that you don’t forget anything as you move abroad. The average shipping time to Latvia is 3-5 business days, depending on your country of origin. All containers entering Latvian territory arrive in the Port of Riga, where the cargos are subject to inspection by local customs officers. If your pet is coming from a non-EU country, you should ask a licensed veterinarian to fill up and issue the Annex IV form for Latvia 10 days prior to the import date. For more information, click here. All pets, dogs and cats from EU states should have an updated Pet Passport along with the Intratrade Health Certificate issued at least 48hours before entry. Latvia is a beautiful Baltic country abundant with luscious green landscapes and wide beaches. Here, you will find what everybody is searching for: a constant move towards career growth and a life lived in the arms of mother nature. Located in Northern Europe is Latvia, a Baltic country known for its capital Riga which is a UNESCO World Heritage Site. Aside from its well-preserved medieval ruins that beautifully co-exist with skyscrapers, Latvia is also proud of its white sand beaches and vast nature parks which make it the ideal destination for expats who want a life embraced by Mother Nature. Latvia is a famous destination that houses more than 1.9 million people. Like any industrialised countries, expats bound to this country will also enjoy several conveniences such as access to universities and two international schools. Latvia also boasts a modern and highly reliable health care system as well as an efficient public transport network that has routes across the country, making it easy for locals and expats alike to reach their everyday destinations. Living here also guarantees access to miles of picturesque coastlines and acres of breath-taking landscapes. A massive part of Latvia is still covered with forests and nearly half of the country is comprised of untouched natural ecosystem. Despite the significant progress that shifted this Baltic nation’s gears towards economic success, expats in Latvia will still be able to marvel at vast natural beauty at its finest. One of the most famous destinations when it comes to outdoor fun is the city of Liepaja which is also known as the ‘City of Wind’. Here, expats will find the Seaside Park which is a three-kilometre wooded park that serves as the home of over 140 imported and local species of trees. Aside from swimming, visitors of the Seaside Park will also enjoy playing mini-golf, tennis, trampoline and go-kart. July to August is the warmest months in Latvia and is also the best time of the year to enjoy swimming. This country has the longest sand beaches in all of Europe and a popular place to be is the picturesque beach of Cape Kolka where the Baltic Sea meets the Gulf of Riga. Other top destinations for expats in Latvia are the Livu Aquapark, one of the biggest water amusement parks in Northern Europe and the Tarzans which is a massive adventure park located in Sigulda. Expat parents with kids who love animals can also go to the Vienkocu Park where they will see various sculptures of animals, fairytale characters, manor houses and the first sandbag house in Latvia. Pork is one of the staples of the Latvian cuisine, No dish is complete without this national meat and some of the most commonly served pork dishes are Karbonāde ar kaulu (grilled pork chops), cūkas stilbs (pork knuckles), karbonāde (pork schnitzel), grūdenis (pig’s head stew), cūkas kājas (pig’s feet), cūkas ausis (pig’s ears). Other famous Latvian dishes are Kartupeļi ar siļķi un biezpienu (Herring mixed Cottage Cheese and potatoes, Pirāgi (freshly baked bacon rolls) and Aukstā zupa (cold beet soup). The locals believe in restrained behaviour such as lowering of the voice and avoiding eye contact especially in public places. Public display of anger or any negative emotion is also unaccepted in Latvia that’s why expats in this country should practice self-control. The elders have significant importance in the local society. Grandparents usually take on the responsibility of taking care of the kids while the parents work. It is also a common practice to give a seat to an elderly passenger on public transportation or to let a woman board a train or bus first. In Latvia, privacy is highly valued by the people. They do not appreciate acquaintances asking about their family or personal lives. Expats in this country should know that it is a big no-no to ask personal matters especially at work and the local does not discuss their personal issues even with friends. The Latvians are also known for having controlled facial expressions so don’t feel offended or surprised if they do not respond with a quick smile. A firm handshake with direct eye-contact is enough to show respect when introduced to a local. In Latvian culture, it is proper for a guest to bring imported liquor or a box of chocolate to the hostess. Flowers should be given in odd numbers because even numbers are usually given to those in mourning. It is better to remove your shoes before entering a local’s house and to remain standing until invited to sit down.